Snowballs aren’t plain little blocks anymore. Using the Ruler Revolution 3 x 3 Snowball ruler to snowball nine-patch blocks, the snowball blocks are cut into quarters then turned and arranged to make this amazing disappearing snowball design. Even though it looks like there are small pieces to cut and sew, the smallest piece of fabric you will be working with will be 3 ½” strips. 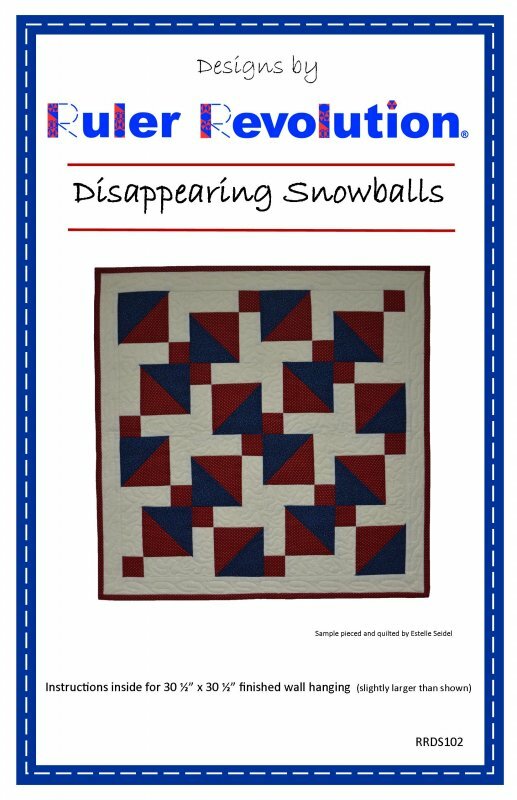 Make this design as large as you desire by making moresnowballed nine-patch blocks.